Girls studying science in Viet Nam. 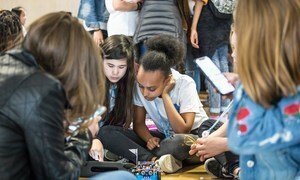 Globally, while more girls are attending school than before, girls are significantly under-represented in STEM subjects in many settings and they appear to lose interest in STEM subjects as they reach adolescence. Lisa Harvey-Smith, Australian Government's Women in STEM Ambassador and Professor of Practice in Science Communication. 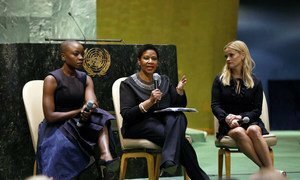 The drumbeat for women’s rights and empowerment reached a crescendo on Thursday as the United Nations celebrated International Women’s Day with a number of powerful events, where global activists joined top UN officials calling for the recent momentum generated by grassroots movements against discrimination and harassment to tip the scales towards lasting change.